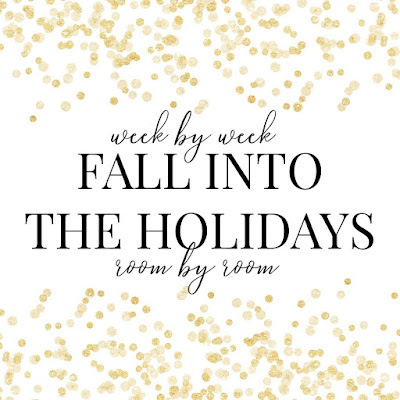 Hi friends, welcome back to the third part of our Fall Into The Holidays series! 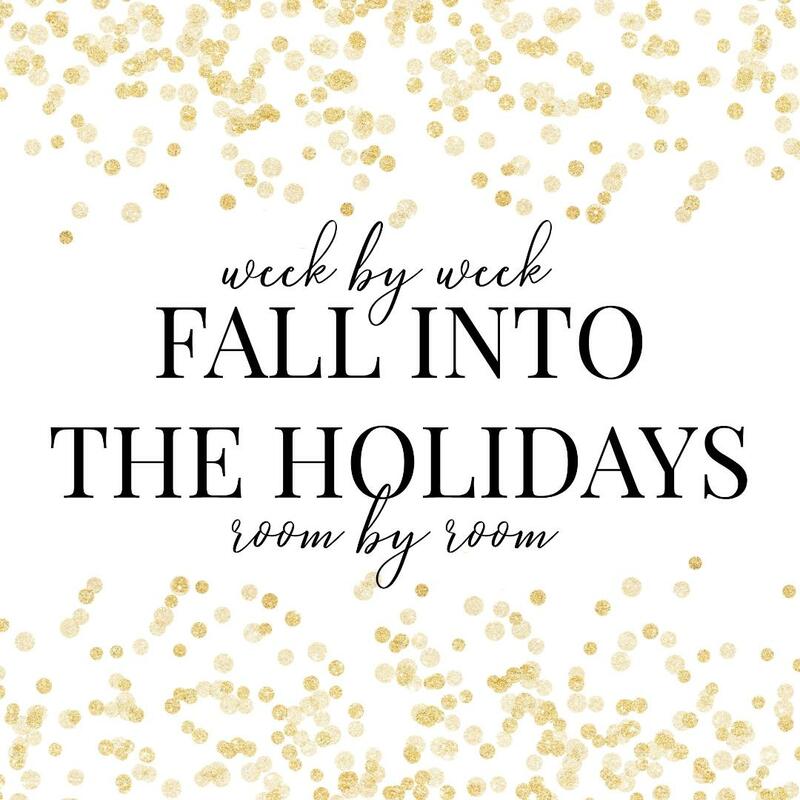 With the encouragement of our organizer Lisa from Shine Your Light, each week we're sharing simple ideas to get 4 rooms in your home holiday ready now, before the hustle and bustle of the season sets in. We've already shared projects to get our kitchens and bedrooms in shape for the holiday season, and today we're working on ways to get our Living Rooms ready for holiday guests. Inevitably, when people visit your home this holiday season, at some point they will pull out their phone or other electronic device and need access to your wi-fi. There's always a good funny video to share with the family, right? 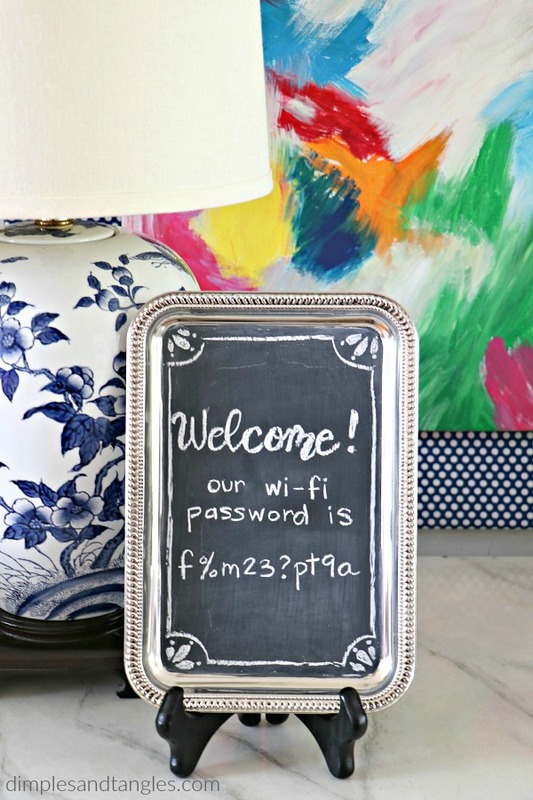 ;) I thought it would be nice for the wi-fi password to be easily accessible to guests, so I created a simple chalkboard sign to display that information. This great vintage-looking silver metal tray came from Dollar Tree of all places, so it cost next to nothing to make this project. 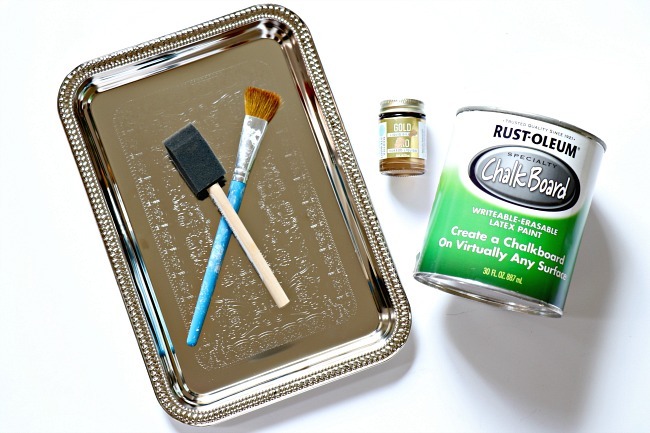 You'll only need a few supplies for this project- a $1 metal serving tray, a brush, and chalkboard paint (not CHALK paint!). I thought I might add some gold accents to mine hence the gold paint also pictured, but I decided not to at the last minute. I've had the can of chalkboard paint left over from other projects, so this project literally cost me $1! 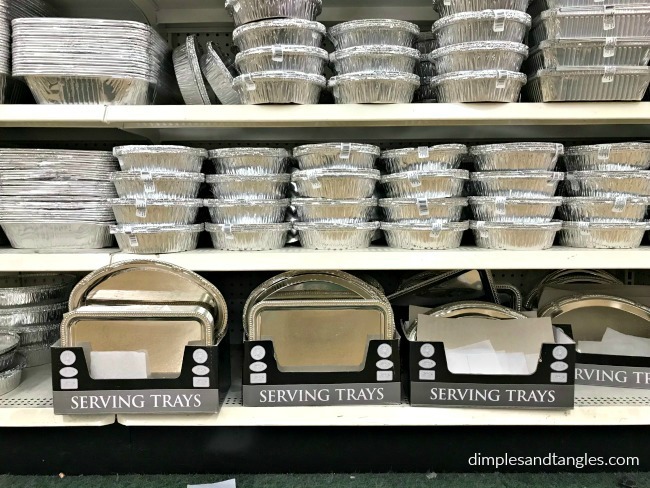 If you've never noticed these trays at Dollar Tree, I found them on the aisle with all of the disposable aluminum bakeware. I've also seen them in or near the party supply section in the past. They come in three different shapes, so choose the one you like best. 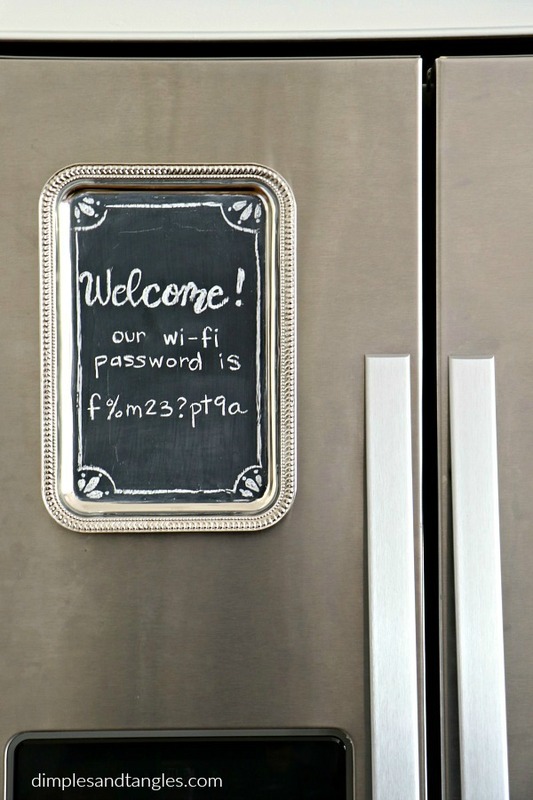 After your new chalkboard is seasoned, add whatever message you'd like to convey your wi-fi password. 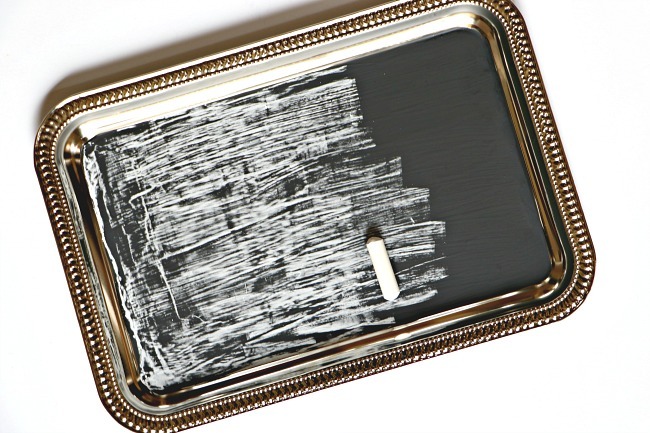 I use a combination of regular chalk and really like these thinner chalk pencils for writing on chalkboards, and I used a plate stand to prop mine up. Our focus today is on the Living Room, but glue a few magnets on the back and this is perfect to display on the fridge, too! 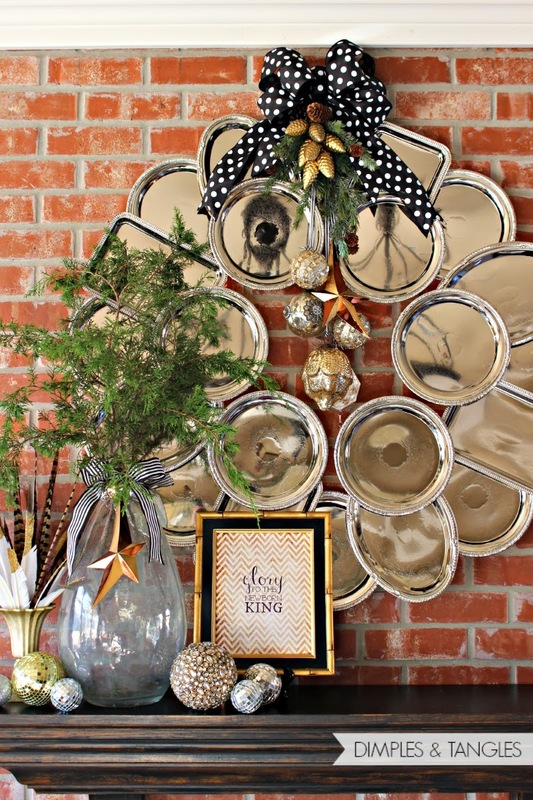 There's your quick and easy holiday project for today. 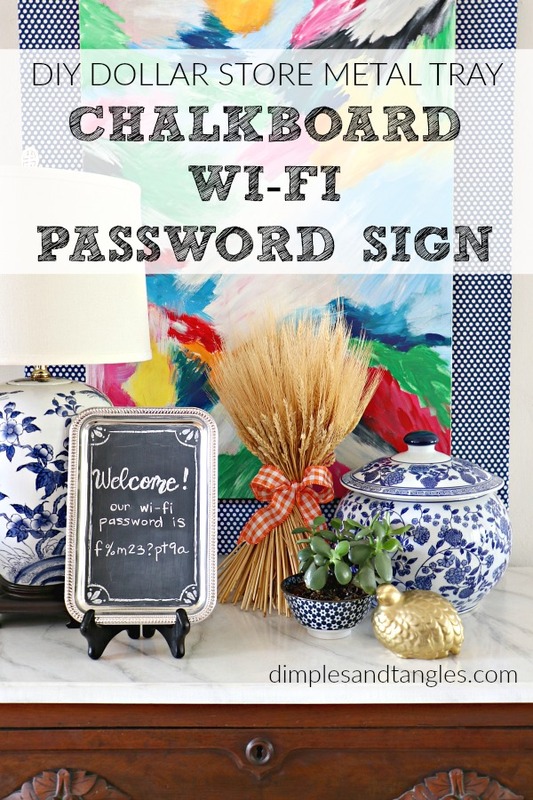 Even if you don't want to go to the trouble of making a chalkboard sign like this one, it might still be a good idea to make some kind of sign if you'd like to share your password with your visitors. A simple note printed off of the computer and cut to fit in a cute frame would do the trick and not take more than a minute or two to accomplish. If you enjoyed that project, check out my past Dollar Tree Metal Serving Tray projects, these little $1 trays come in pretty handy! *I'm going to keep reminding you for a bit since I have a new blog design... if you'd like to comment or read the comments, just click on the speech bubble icon below this box and the comment section will appear. Thanks! So cute and functional! And I still love your big tray wreath! Thanks Julie. Yes, I've been thinking that wreath may need to make an encore appearance this year! What a genius idea!!! I’m always searching for the password for guests! So in love with all of your beautiful gray ideas, and will never look at a little $1 tray the same way again! Thanks Shelley, glad that was a helpful tip for you! 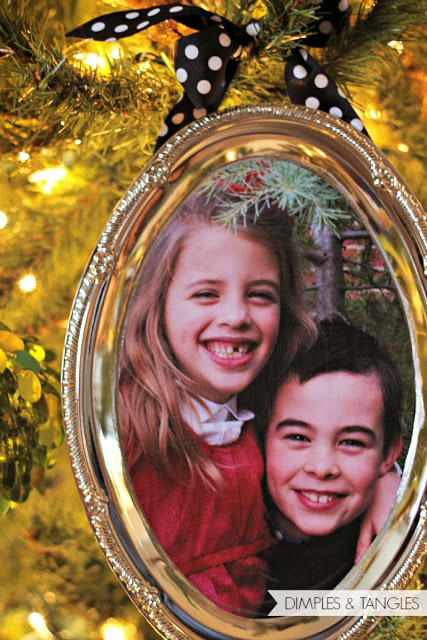 This is such a fantastic pre-holiday project Jennifer! 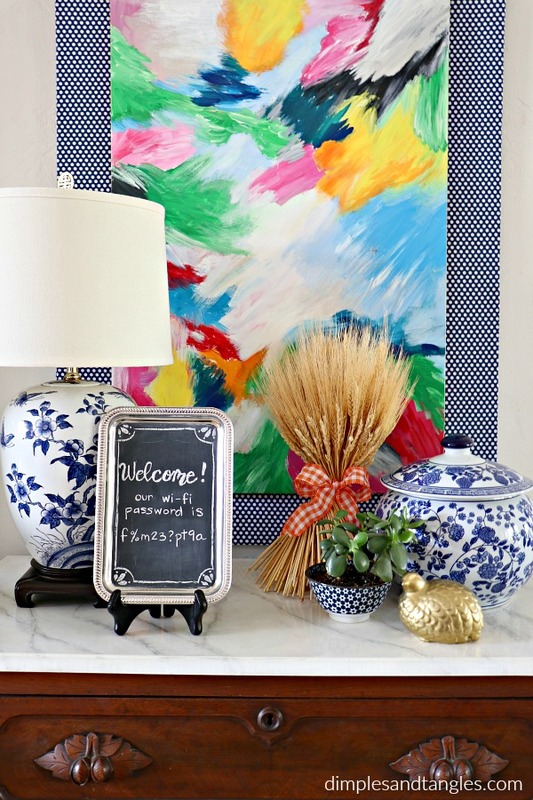 I need to do this before we have a houseful of guests! 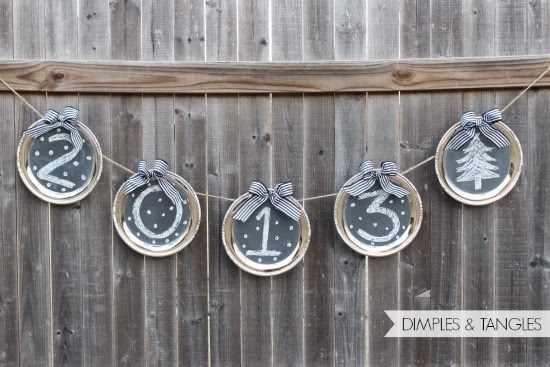 And you are insanely clever with these dollar store trays - I love that wreath you made with them too! Thank you Lisa! Our PW is so wacky (this isn't our real one) it's nice to have something for people to look off of. This is such a clever idea and that sweet little tray is the cutest way to display a wifi password! I have always loved those little dollar store trays for easy parties I don't want to have to worry about cleanup- but that wreath! that is darling! I might have a new project now to work on! That is BRILLIANT!!!! And I am going to "steal" your idea right away! Cute idea! I think I need to make one for US! Ha, isn't that the truth! Those passwords can be crazy! Such a cute and useful idea!